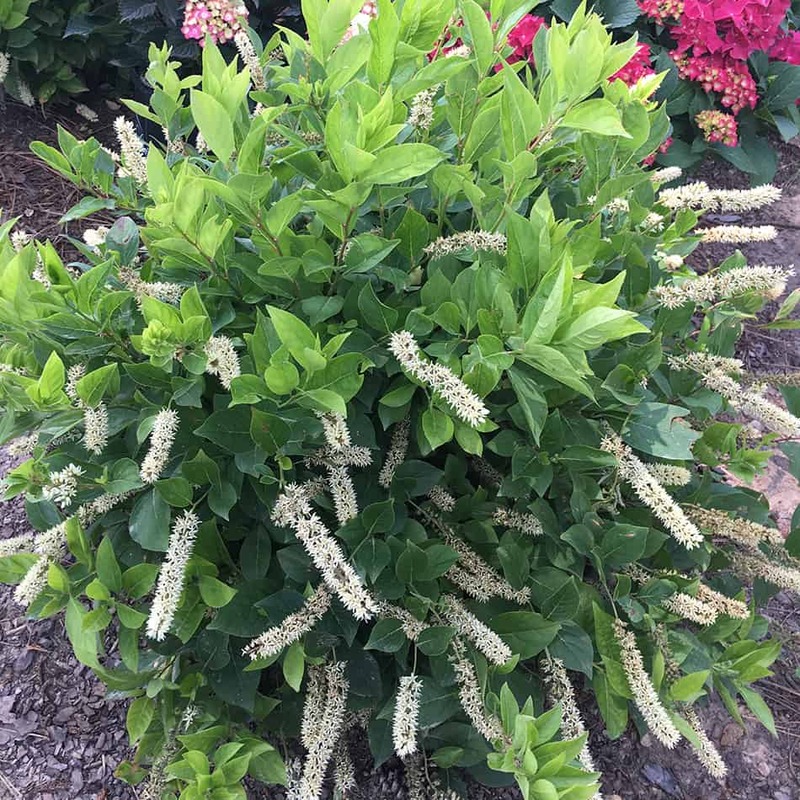 A compact sweetspire with fragrant white flowers. Needs little pruning or care. Foliage turns burgundy in the fall.